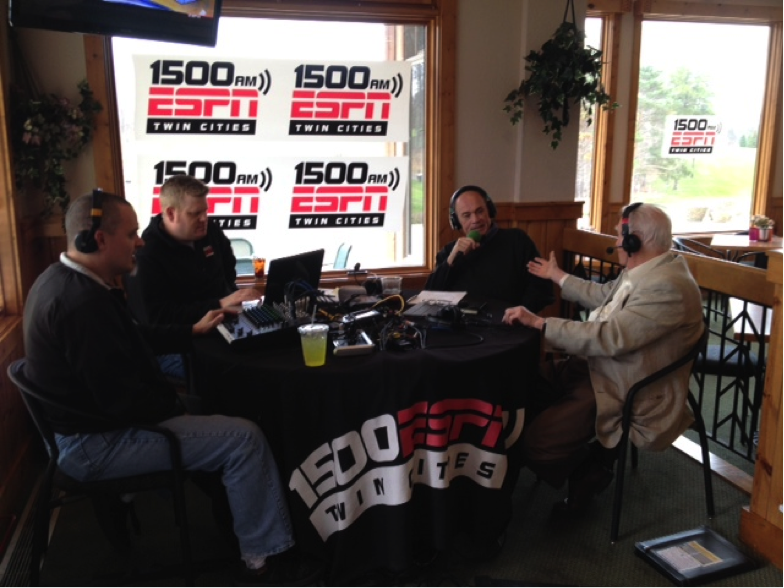 The ESPN Brainerd Golf Opener hosted by Cragun’s Legacy Courses was a weekend to remember. 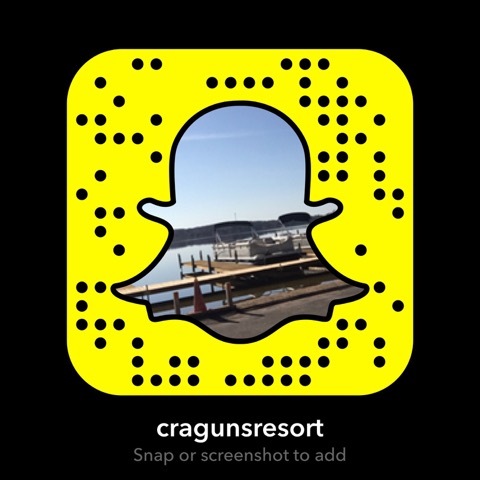 Over 200 golfers participated by staying at Cragun’s and playing multiple rounds of golf at Cragun’s Legacy Courses. 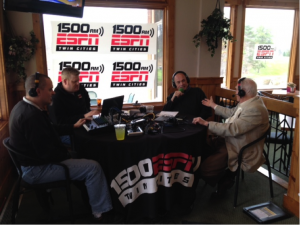 Activities included live broadcast for ESPN 1500 on Friday from 9:00-1:00 (Mackey & Judd) and 3:00-6:00 (SportsTalk & The Ride with Patrick Reusse). Director of Instruction for Cragun’s Legacy Courses Chris Foley was featured on both shows and of course Dutch Cragun was on telling some memorable jokes. An impromptu Wild Playoff party was planned on Friday evening and although the Wild came up short of victory, the Legacy Grille was busy late into the evening. Saturday was the busiest day on the courses, with over 450 rounds of golf played on the 3 Legacy Courses. Kevin Unterreiner and Twin Cities Golf.com hosted a two day tournament that started on Saturday which had 12 – 2 player teams competing. The Golf Opener is a great way to start off the season and has grown from about 100 players two years ago, to what it is today with over 200 players participating. We plan to offer the same popular Brainerd golf package the weekend prior and the weekend following for the 2015 season. The golf opener package was $289+tax per person and included 2 nights lodging, 3 days of unlimited golf with cart on all 45 Cragun’s Legacy Courses, 2 breakfasts and 2 dinners. For more information on this and other great stay and play golf packages, visit www.craguns.com/golf.